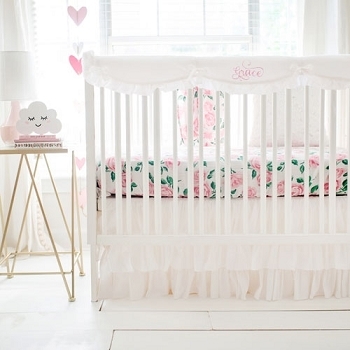 Create a dreamy nursery with our Baby Girl Crib Bedding! Choose from a wide variety of colors and styles for your Baby Girl! We love designing baby girl nurseries, especially when it comes to choosing the unique baby girl crib bedding! There are so many different styles available for a baby girl's nursery. Not everyone is set on pink for their baby girl's room. Choosing your baby girl nursery bedding should be one of the first steps in designing your nursery. 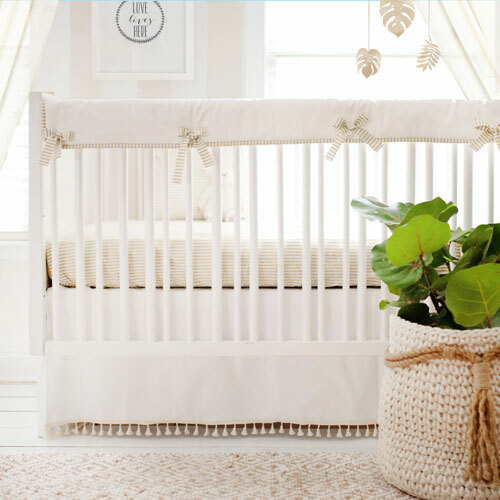 Do you want an elegant and sophisticated nursery? Unique baby bedding? Are you dreaming of a sweet and simple room or a modern baby girl's room? There are a multitude of styles to choose from for your baby girl's nursery. No matter what style or color you are dreaming of, your are sure to find the look you want for you baby girl! Once that decision is made, you can start looking at baby girl bedding that will work in the room. 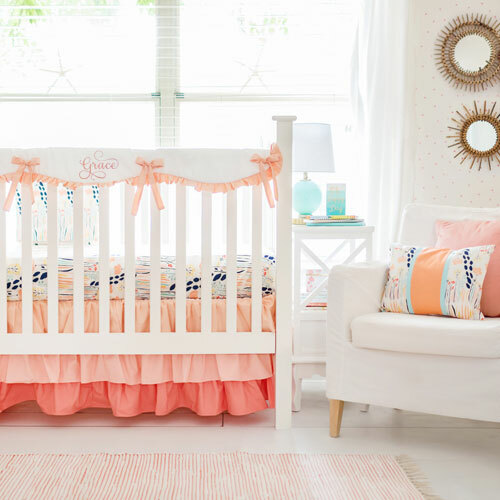 Your baby girl crib bedding can be as simple as a crib sheet, for a clean look, or can include all of the basic pieces of a baby girl crib bedding set (crib bumper, crib rail cover, baby blanket, nursery skirt and baby sheets). 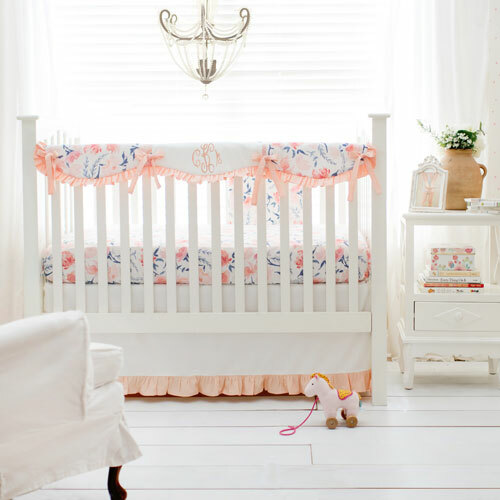 Create a girly nursery by choosing baby girl bedding with floral patterns and ruffles! Popular colors today for baby girl bedding include gold, mint and coral. 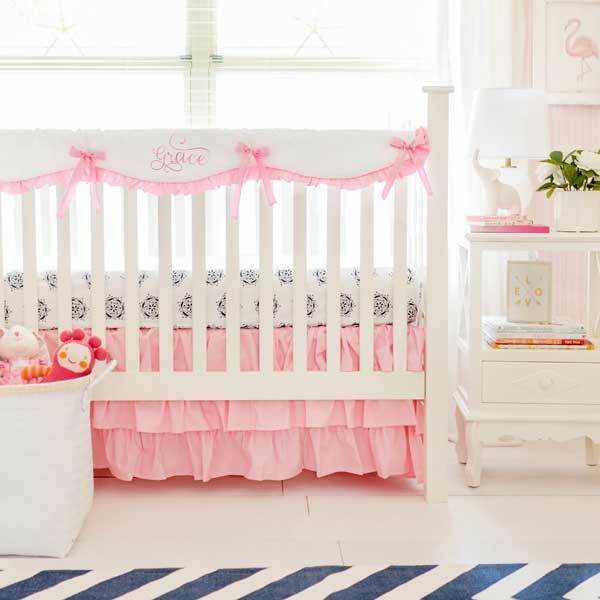 Three tiered ruffled crib skirts are one of our top selling skirt styles for baby girl bedding. 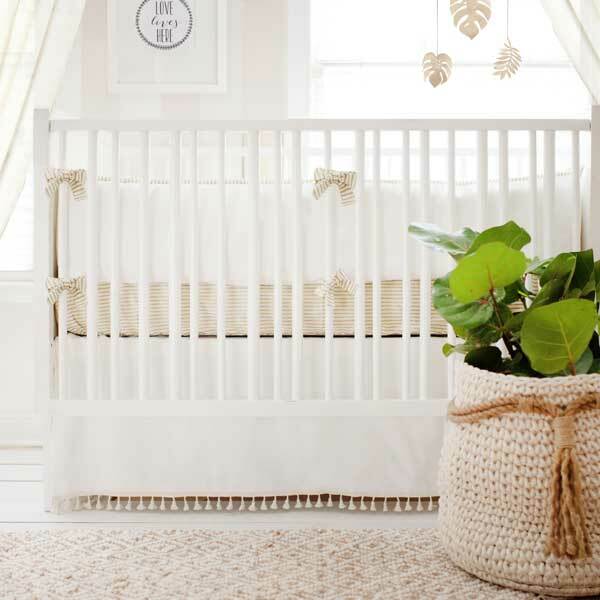 Depending on the style of your crib, you can add other bedding pieces including crib skirt, crib bumper or crib rail cover to the mix. A crib blanket will keep your baby girl warm and cuddly. Keeping multiple crib sheets on hand will allow you to change up the look of your baby girl crib bedding, and also enable you to always have a back up. 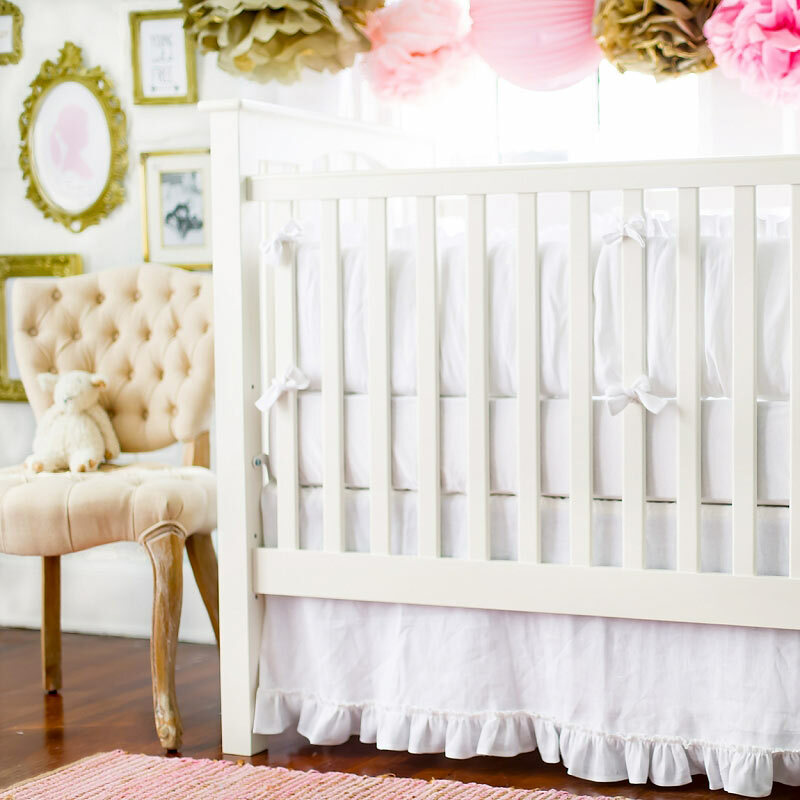 Our baby girl nursery collections include over 50 different crib collections to choose from. Coordinate your baby girl bedding with our assortment of nursery decor items. From classic to modern, and everything in between, rest assured we have the perfect baby crib bedding for your new little girl's nursery! Accessorize your baby girl's room with Baby Pillows, Nursery Curtain Panels, Changing Pad Covers, Baby Crib Sheets & more. If you don't find what you are looking for in our predesigned crib bedding sets, you can create the perfect crib bedding by designing your own custom baby bedding. Choose from our unique collection of nursery fabric, which includes many different textures, patterns and colors. Custom Baby Bedding is our specialty! 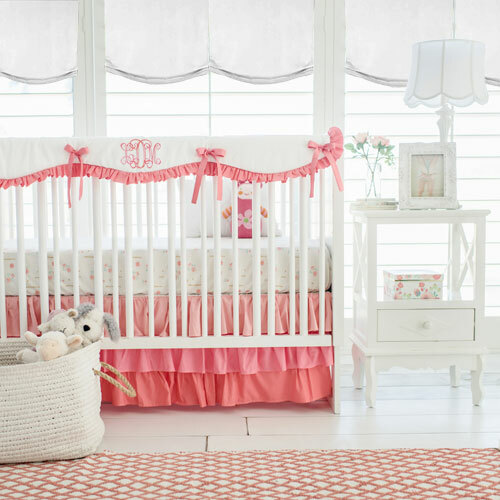 Our assortment of custom baby girl bedding includes a variety of styles and colors, like damask, coral, floral, arrows, pink and gold crib bedding and more. Look through our over 200 plus nursery fabrics, and design your own custom crib bedding from scratch! 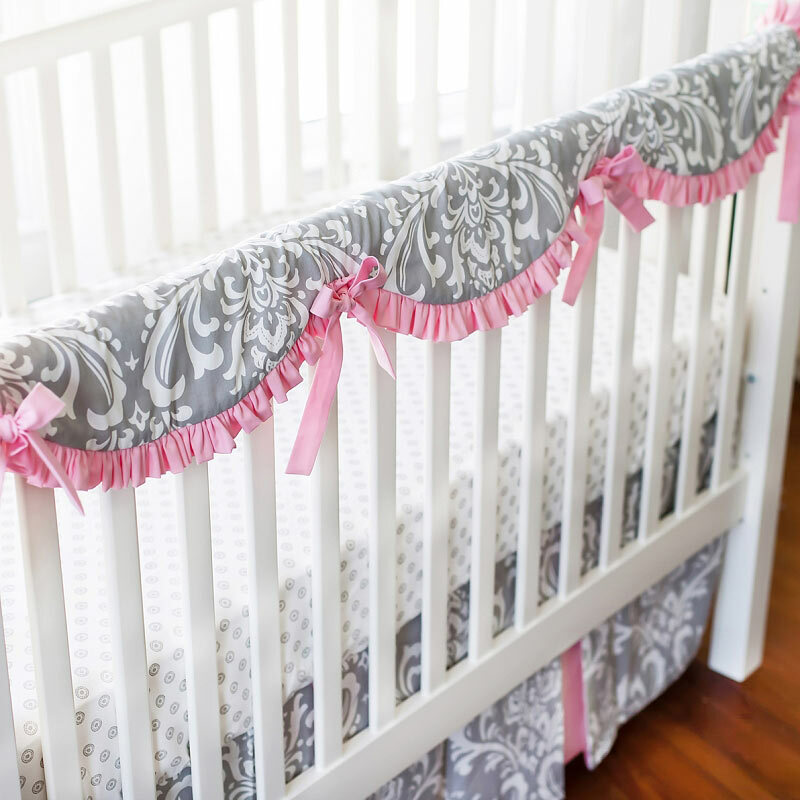 Design your own crib rail cover, crib skirt, blanket, nursery curtains, throw pillow and more. Easily shop our fabrics by color, so you can easily coordinate patterns in specific colors. If you need design assistance, we are happy to help! Please call us at 888-326-9065 or email [email protected]. Order fabric swatches online so you can see the colors up close, and match swatches for paint and other decor in the nursery. Popular colors for girl's bedding includes coral, gold, mint and of course, pink! 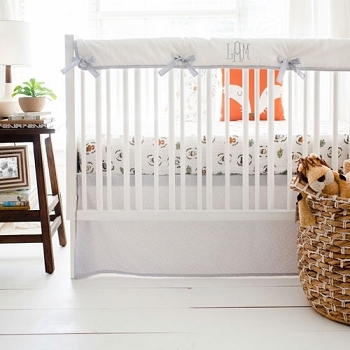 Choose from floral crib sets, damask crib sets, modern crib sets, tribal crib sets and more. From adorable polka dot prints to simple fabric patterns, rest assured we have the perfect baby girl crib bedding for your nursery! Choose from coordinating accessories including, Changing Pad Covers, Curtain Panels, Crib Sheets and Fabric by the Yard. 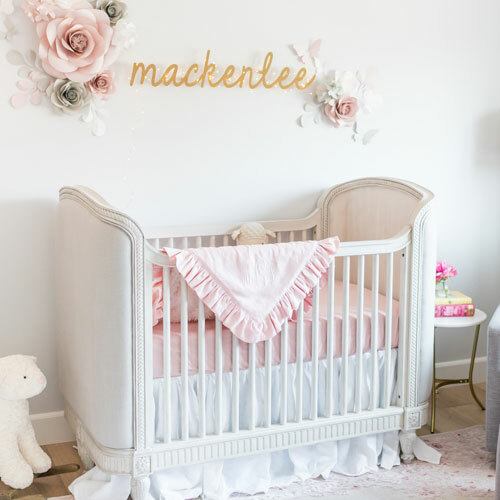 For more baby girl nursery bedding inspiration, follow our girl nursery Pinterest board, Instagram and Design Blog. 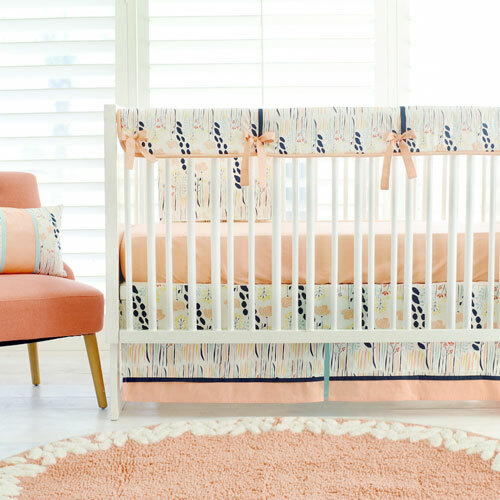 Find the perfect baby girl bedding for the nursery of your dreams!